Orang asli children in Sungai Kejar are dying from what locals call "serawan". R.AGE travels deep into the jungle to investigate. Tagged Cover Story, Documentaries, Orang asli. Do us and the orang asli of Sungai Kejar a favour – share this post. THERE’S a luxury resort just outside the Royal Belum State Park in Perak, and it has a large sign at the entrance that says Pey Ba’a, which means “come to us” in the language of the indigenous Jahai people. It was meant to be an invitation for tourists to experience life in the Jahai’s remote villages, but it could just as well have been a cry for help – R.AGE had received reports of a mysterious illness claiming the lives of young Jahai children. However, nobody seems to have done anything about it. R.AGE’s video crew went deep into the state park to investigate these deaths at the villages along Sungai Kejar a few weeks ago. On the day we arrived, a young girl, Malini, was on the brink of death. We only heard about her condition the next morning, when we were told she had passed away, just before sunrise. Her family had been holding vigil throughout the night. They call the disease serawan. It kills within days, and has plagued the orang asli around Sungai Kejar for years. And yet, nothing has been done for them, despite them being touted as a tourist attraction in the park. Malini’s father was so distraught he could hardly speak, so her grandfather, Kurup, told us what happened. Malini had started developing strange white spots on her tongue a few days ago, and soon her entire mouth and throat turned black. She couldn’t swallow any liquids, let alone eat anything. On her final night she had severe fits and a high fever, and eventually passed away at 6am. We later spoke to Universiti Malaya anthropologist Kamal Solhaimi Fadzil, who has conducted extensive research on the orang asli communities in the Belum-Temenggor forest, which stretches into Thailand. Based on his observations, the child mortality rate among the 20 or so families in the Sungai Kejar area could be as high as 50%. The villagers were almost nonchalant about Malini’s death. Serawan has become a fact of life there. Just an hour away by speedboat, the luxury resort outside the state park paints a completely different picture. Companies and government agencies organise retreats here, and there are signs everywhere promoting activities like forest hikes, boathouse stays and visits to orang asli villages. All visitors need to get a permit at the nearby Gerik town. From there, it’s a 45-minute drive to the jetty at Banding Island, where our team rented a small speedboat. There were two checkpoints along the way, one belonging to the army and another to the state park. We had no prior arrangements with any of the villagers, but planned to live among them for five days. The people were wary of us initially, but after we explained why we were there, a villager named Keladi kindly offered to host us. In return, we shared the rations we had brought with us – 50kg of rice, canned food, instant noodles, sugar, tea and a few packets of tobacco. Our first day was spent talking to the Tok Batin, the village head appointed by the Orang Asli Development Department (Jakoa). We had to gain his trust and ask permission to speak to the people about the disease. The Tok Batin helps convey any problems in the village to Jakoa and keeps the rest informed on important events such as routine visits by the Health Ministry and delivery of food supplies by Jakoa. The orang asli living along Sungai Kejar use bamboo rafts like this one to travel short distances, making it almost impossible for them to seek medical help. The next morning, Malini’s father, Latip, allowed us to follow the family to her grave where they were performing burial rituals. The orang asli do not have designated burial sites, so they find suitable locations themselves. It took a 15-minute hike through the jungle to get to Malini’s grave. A bamboo fort was built around it and a fire was lit every day to prevent animals from digging up the body. The Jahai believe the fire also helps ensure safe passage to the afterlife. Malini’s slippers lay at a corner of the fort. Our host, Keladi, has lost loved ones to serawan as well, including his wife, 15-year-old daughter and infant grandchild. 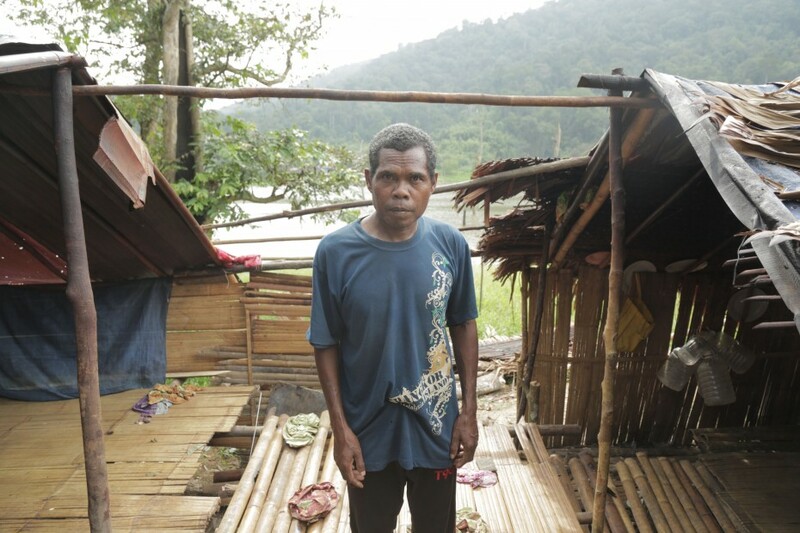 “I buried my daughter near my house, but I moved away soon after because it was too painful to be so close to her grave,” said Keladi, pointing across the river where his home used to be. 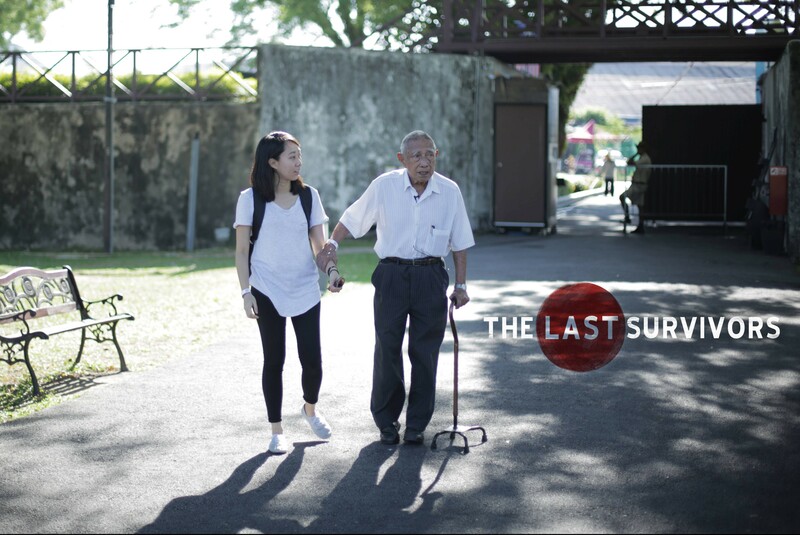 He took us around the villages to speak to others who have suffered similar losses. One man, Bain, said he lost five children to serawan. “I know four people who have died this year, all from this same disease,” said Bain. “We used to have around 600 people in the villages here, and we were happy. 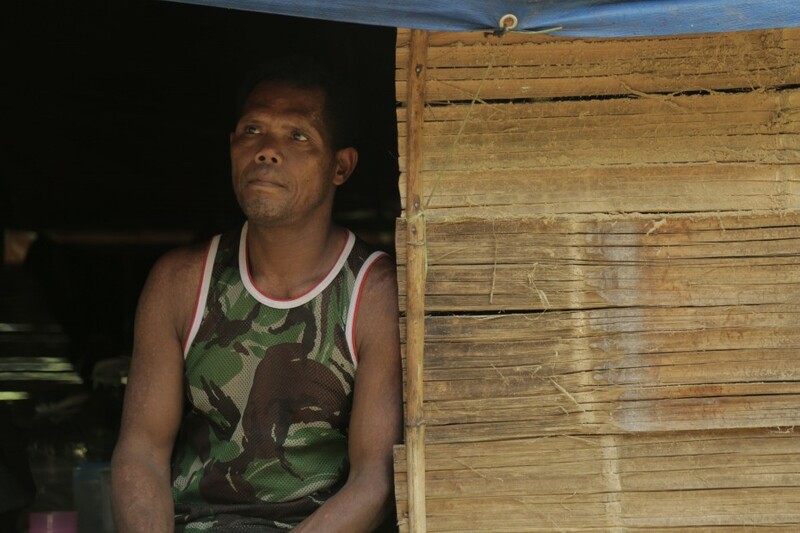 Now there are around 400 of us left.” According to Jakoa, there are around 300 orang asli in Sungai Kejar. We showed photos of the symptoms to several doctors, and they all agreed that the white spots in the mouth were oral thrush, which occurs when the immune system is weakened by disease. When contacted, the Health Ministry said they send medical teams to the Sungai Kejar area every fortnight. The villagers, however, said it had been close to two months since the last visit, and that the medical teams don’t stop by every village. The young, elderly and severely ill struggle to travel to where the medical team stops, as most of them rely only on bamboo rafts for transport. The nearest hospital is two hours away by speedboat and car. Another problem is that many of the orang asli fear the medical teams. One group we spoke to is completely against modern medicine, because they believe doctors harvest organs from orang asli corpses. 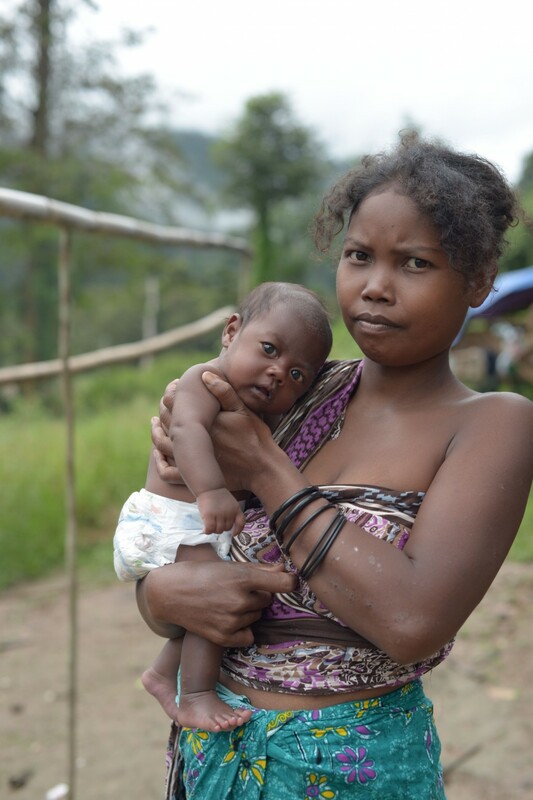 A Jahai mother and her baby, who was believed to have contracted serawan. Doctors who were shown this picture say the white spots in the infant’s mouth is oral thrush, which usually occurs when the immune system is weakened by disease. The Perak State Parks Corporation (PSPC), which manages the Royal Belum State Park, told R.AGE that orang asli welfare is the responsibility of Jakoa. But when we spoke to Jakoa Hulu Perak and Baling district officer Razali Khamis about this, he said he had never heard of “serawan”, and even more suprisingly, that there was no record of any deaths in the area since 2014. Razali, in turn, referred us to the health department for more accurate data. The health department’s statistics were similar. They had only one recorded death in Sungai Kejar, an adult, since 2013. Keladi, however, showed us his daughter’s death certificate. She died from serawan on May 17 this year. Keladi often reminisces the times he had with his daughter, who passed away on May 17 this year. He also lost his wife and a grandchild to the same disease. But the disease isn’t the only problem faced by these orang asli. Traditionally nomadic, they have been forced to live in designated areas, where they have already exhausted a lot of natural resources. Jakoa provides each family with food rations every two months, which consists of 20kg of rice, 2kg of flour, 2kg of sugar, four cans of sardines, some condensed milk, tea, Milo and cooking oil – clearly not a balanced diet, and not nearly enough to feed an entire family for two months. On top of that, the state park does not allow the orang asli to clear land for farming, fish with nets or sell forest produce. According to the Jahai we spoke to, this has forced them to change their nomadic, hunter-gatherer way of life. In order to survive, many of them ignore the state park’s rules and clear small plots of land to plant tapioca and bananas. Unfortunately, they face competition for their own crops from the estimated 70 elephants living in the park – another attraction often touted to tourists. It is a common refrain among the orang asli – they plant crops, tend to them for months, and lose everything in one night to hungry elephants. Across the river from Malini’s grave, we met Kederi, who was picking up the pieces of his home, wrecked by elephants. Kederi standing in the hut that was once his home. The roof was torn off the night before when two elephants rampaged through the village looking for food. Just the day before, he complained to us about elephants passing through his tiny tapioca farm. Now, much of his hut is in ruins. According to Kederi and his brother, a pair of elephants had rampaged through their homes looking for food. 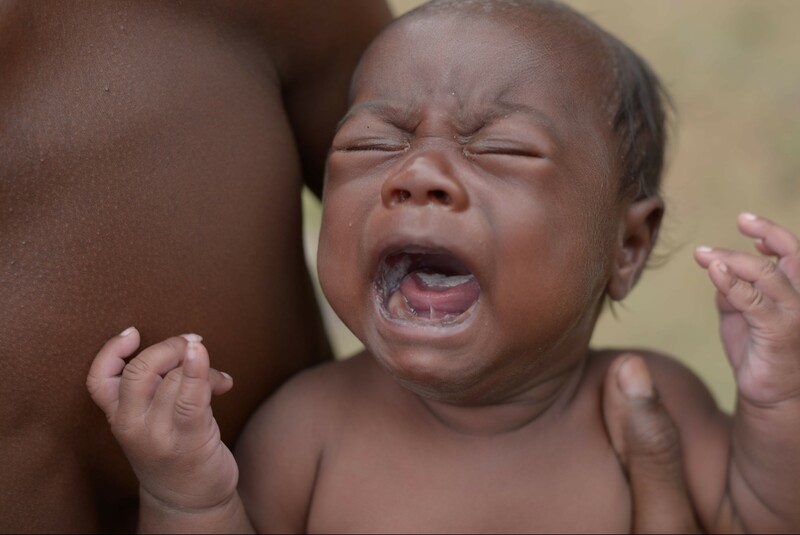 The entire village of around six families – including newborn babies – was forced to flee into the mountains, losing their crops, food rations, homes, and land. That same night, an elephant strayed into the village that was hosting us. While it did not attack the houses, we stayed awake for much of the night, in case we needed to flee. When we asked the Department of Wildlife and National Parks about human-elephant conflict, they shared statistics showing only one complaint from within the state park. Again, these official statistics do not reflect the situation on the ground. During our stay, almost every settlement complained of elephants encroaching into their area. When asked what the orang asli should do when attacked by elephants, the officer simply replied that they should lodge a report with the department. The elephants cannot be harmed, they said, as they are a protected species. We posed the same question to Jakoa. 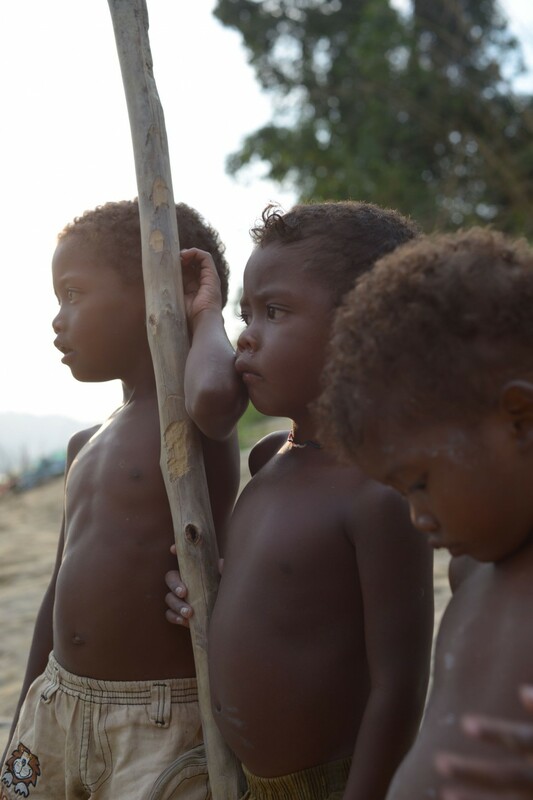 Their solution: The orang asli should leave their homes and stay in the forest until the elephants depart. The houses of the orang asli are made using bamboo and wood, while the roofs are made of palm leaves. They hardly provide any protection from the growing number of elephants in the State Park. “To some extent, society sees the orang asli community as expendable,” said Kamal, the Universiti Malaya anthropologist, trying to put the plight of the Sungai Kejar community in a broader context. He cited the recent Pos Tohoi incident, where seven orang asli children ran away from their boarding school. Authorities dithered while the school assumed the children had been taken home. Such incidents show how stereotypes are unfairly projected onto the orang asli. 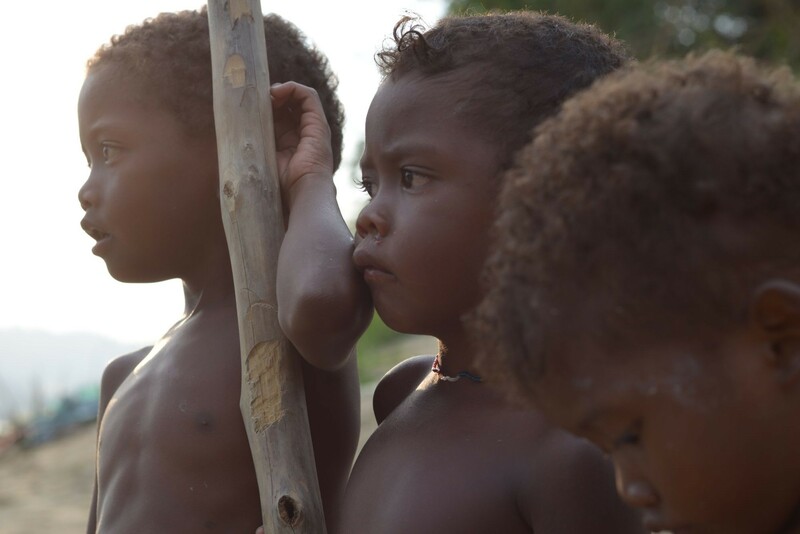 The orang asli community, especially the children, need a voice to alert others on their plight. “Much of society still thinks they are imperfect humans because they lack religion or the kind of imagery we associate with the modern man. But all this is racism,” he said. And while Kamal agrees that the orang asli’s seemingly irrational fear of doctors and authorities contributes to the problem, it all boils down to a lack of trust. One thing is clear: institutional change starts with a change in mindset. And that’s a change we can all be a part of. UPDATE: R.AGE was invited to join a “fact-finding mission” with a task force set up to investigate the Jahai’s claims of child deaths around Sungai Kejar. After the visit, a health department official announced to us and several other media outlets that the mystery was solved — the disease known as “serawan” is actually herpangina. Watch the video below, and click here to read the full report. A war is brewing between the orang asli and elephants in Perak, and it is turning deadly. The Elephant In Our RoomHere’s what happens when 36 ELEPHANTS are dumped on your backyard. We’re just glad our team made it out in one piece. Full story: rage.com.my/elephant-in-our-room.The orang asli in the Royal Belum State Park are becoming increasingly exposed to foraging elephants, who eat all their crops and damage their homes.And it’s not the elephants’ fault. As many as 36 wild elephants have been translocated into the state park since 2010, doubling the elephant population in the area and putting the orang asli in danger.Our crew spent several days living with the orang asli to film this documentary, when we saw for ourselves how much destruction the elephants can do. Very well written. Incitement also have special interest in the plight of the Orang Asli. Heartbreaking to see people being dismissed in our own backyard. Hope this rings some bells for us to do something about the issue. Thumbs up ! Is there a link where we can see what Incitement is doing for the orang asli? It would be a good resource for us moving forward. Thanks in advance! Excellent piece of job Shanjey Reddy. 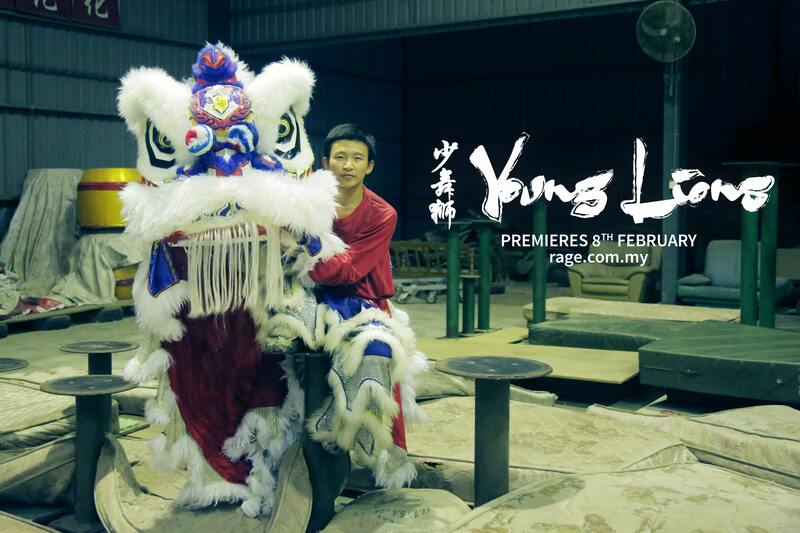 Hope this documentary will open the eyes of many people. Good article and troubles the conscience. Excellent journalism. Thank you for staying with the community to learn more from the Orang Asli. They need our understanding and support. The team gave the authorities right to reply and these “officers” produced only ignorance and drivel. I’d like to commend the team for highlighting the challenges faced by the OA community in Belum. However, it would be more balanced if there was a statement from a paediatrician, or if (named) doctors were part of the team and made the diagnosis in person. More effort should have been put into discussing why the Jehai are afraid of health officials and prefer to stay away than seek help. As a whole, this article/documentary draws much needed attention to (old) issues pertaining to OA welfare but is generally biased and very unfair to the committed medical personnel who literally chase after nomadic tribes to provide healthcare, supplies and convince the sick to get treatment at clinics and hospitals. Hi JC, thanks for your kind feedback. We did approach several doctors, but none were willing (or able) to come with us to Sungai Kejar. We had no choice but to press ahead with our trip and investigate/report first, and hope that it would lead to urgent action. In fact, we even presented our findings to the district health department, the State Park and Jakoa after the trip! The doctors, understandably, declined to go on record because they can only speculate based on our observations and photographic evidence. The only way to diagnose would be for a doctor to go on-site, and it would be irresponsible of them to do anything less. Thankfully, after this report came out, the state health department is now assisting us with this. But to be quite frank, this story is not about name-checking heroes and villains. It’s about highlighting the many struggles of the people in Sungai Kejar, and not just their struggle with “serawan”. I’m sure you’ll find that the story mentions many other issues as well, including the orang asli’s fear and distrust of doctors. This Seriawan disease was popular in my area during 50′ 60’s. But can be cured by chinese medicine 俄喉散 at the early stage. If you need the medicine pls contact me. Great article. May I get your permission to use one your article photo as my FB profie picture to create public awareness on Orang Asli? Sure! But please credit the photo to “ELROI YEE/The Star” in your post. Thanks! I think you must do your research with the help from a person who really know Jahai’s lifestyle and not interpret directly from their statement. I also had met with Bain and three more Jahai. First, He do not know how to count. Some of them also not know about number. For example, I asked Bain how many children he had and what are their age? The eldest son is 14, second 7 years old, third, 1 years old and the youngest 12 years old. I ask him is it true the youngest is 12 years old? 3 times he said yes. Second, you must know that he only had 4 children. Not 9. But how come there are 9 children? The answer is because for them, in their culture, any child they really know and had good relation with his family, they will call them ‘anak’. 3rd, about the help that they get from health department. The thing same as 1st reason. They do not know how to count. They do not had any calendar to refer. Although Health Department came every two days, they will said 2 months. This is because that words they only know and their beliefs when Health Department came its meant 2 months had come. 4th, two hundreds Jahai people death. This is also not true. Same like above, they do not know how to count using BM o English. 5th, you really know what is Serawan they talk about? For them, all of Serawan is the disease that made them suffer. They use that word, ‘Serawan’ to show all of the disease. Bain said that Serawan happen to his son because his son ate Maggi. In the Maggi, had ingredients that bring illness to them. He called it ‘Cacing’. One more person, I interviewed also said his father died when they go back to their ‘Kampung Halaman’, near Thailand border. But, this ‘Serawan’ is not same like Bain. He said this Serawan make his father had muscle pain, then can’t walk. Other Jahai said his father also got ‘Serawan’, his definition about ‘Serawan’ different than others. He said fever is ‘Serawan’. Last, about 200 died. Bain said, 200 died is from their great grandparents time. Not from the disease. So? Please, i don’t agree for several misinterpretation you had done and some of the accusation. But, i like to suggest to you to bring another Orang Asli that can speak Jahai language to help you and one more think, I do not think that Health Department especially their staffs don’t want to cooperate with you. I just want to advise, if you do not rude to others, threaten them like said if you do not want to go we will write story from the bad side and give them enough time, I think they will give good cooperation with you like we did. You must know, they also had many work to do not only to serve you. You gave them short amount of time in the rude action and you expect they will cooperate? it suppose you ask them when they can go with you. Not you give the time. You must know, they had all of the data and every year they always upgrade their service. Same for JAKOA. This is not from what I saw. But the Jahai people themselves said about this. They are very grateful about all of the help they got from JAKOA and Health Department. You can ask Bain about this. That is my opinion from my experience when i go there to investigate. To be a good reporter, you must have ethic. To get ethic, you must have good operation and compare all of your findings with others. Not like you just spread the information without know the real thing especially in the multicultural aspects because it will give bad perceptions to others. Thanks. What if it isn’t oral thrush, or herpangina? If the only medical evidence we have is that one photo of a crying child… What if it’s diphtheria? Highly contagious and potentially deadly, especially for children. And recently other Malaysian children have been dying of diphtheria. Has anyone considered this? The Health Ministry has assured us they are sending more regular mobile clinics into the Sungai Kejar area, but unfortunately, the various doctors we’ve spoken to say there’s no way to get a diagnosis unless a doctor is there to run tests on a victim. It’s very much a game of chance – the mobile clinic and doctor would have to be on site at the moment someone displays symptoms. 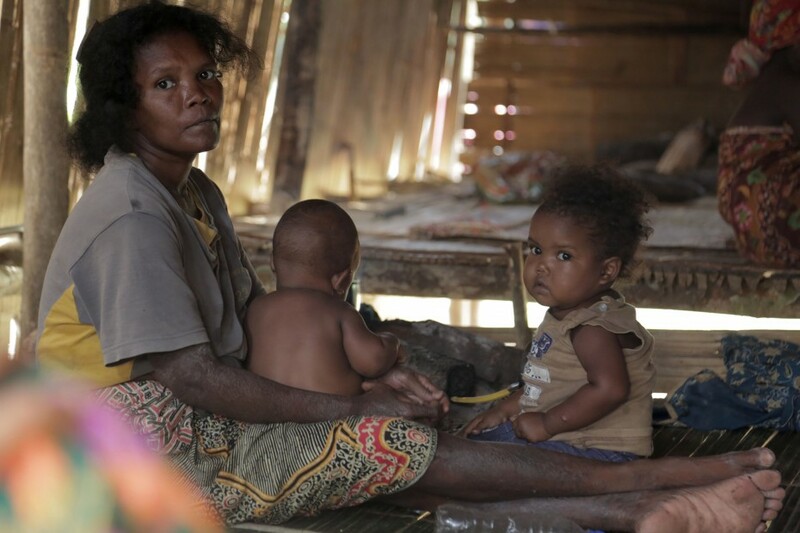 In any case, “serawan” is most likely a variety of diseases, which the orang asli see as the same thing. So the real solution here isn’t to try to diagnose what “serawan” is, but more on educating the orang asli on health and sanitation, and making sure the authorities are constantly maintaining a positive relationship with the communities. Right. I was thinking, if it WAS diphtheria, the authorities might concentrate more resources on the area, as it might be a seen as a more high-profile health threat. Anyway, just speculation.